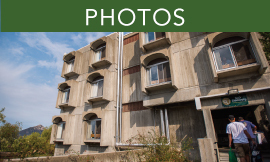 Located on the southeast end of campus, these residence halls are also known as the towers. 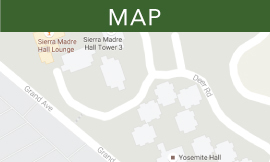 Both Sierra Madre and Yosemite have a large community center and 16 stand-alone residence buildings: six residence buildings for Sierra Madre and 10 for Yosemite. Halls provide double- and triple-occupancy accommodations with community-style bath facilities. 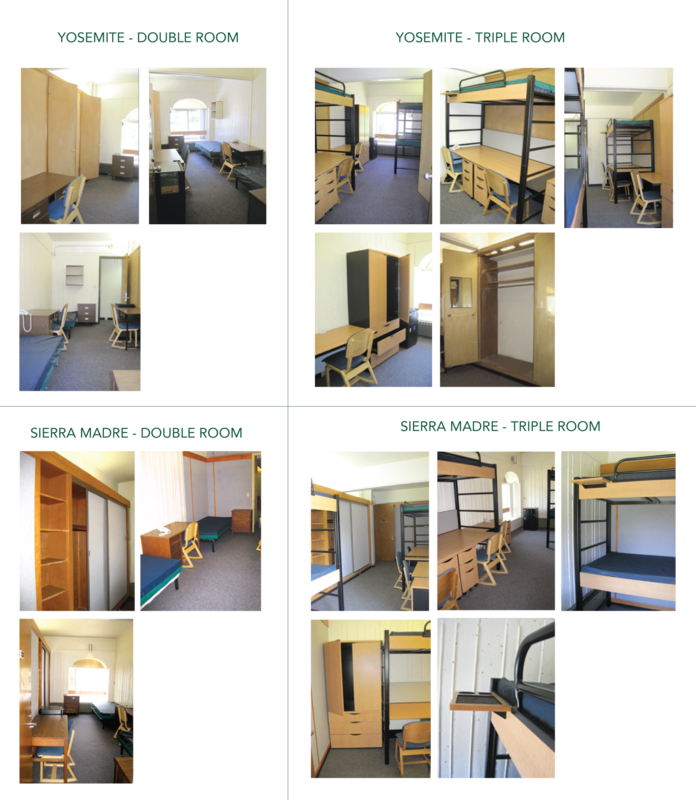 Bedrooms and bathrooms are separated by gender unless the student specifically requests gender inclusive housing.